All the global enterprises boast of outstanding logos, which convey their brand message and helps build an identity. IBM logo is one such iconic design that has become part of our memories. This logo has the company’s initial created in a unique way. 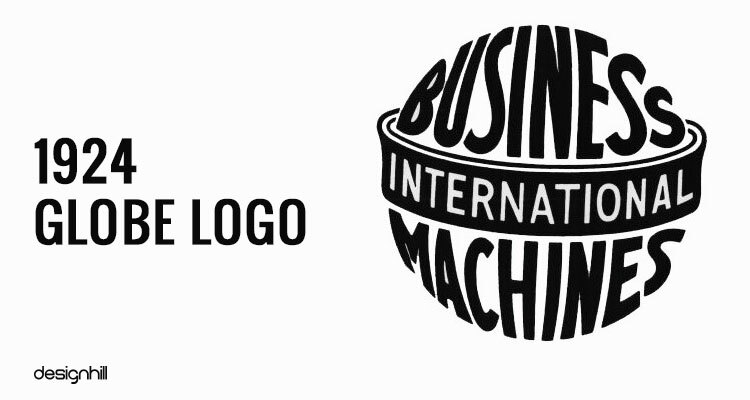 International Business Machines is one of the most known brands in the world and so is its logo. Known for its captivating and simple design, the IBM logo perfectly defines the quality standards and brand name of the company. But the logo design retained its original look throughout its long history. The design expressed uniqueness, confidence and superiority of the company computer machines business. The logo has been successfully marketing the company business in the worldwide Information Technology market. Established in 1911 in New York, the company started with manufacturing lock autograph recorder which was used as school time control system and Electrical Accounting Machine. At that time, IBM was known as the Computing Tabulating-Recording Company. On February 14, 1924, the company name was changed to International Business Machines Corporation, or IBM. The IBM logo has not changed much in the company 96 years of existence. In 1924, the company had its first IBM logo that had a shape of globe. The logo design had Business Machines written in sans-serif font and International inserted in a strip. The globe shaped logo was representation of worldwide expansion of the company computer business. We have helped thousands of international business owners from all around the world with their graphic design needs such as a logo design, website design, social media posts, banner and much more. The globe logo had become obsolete after almost three decades of the company presence in the world market. Now the company wanted to make the logo speak to the audience and wished to replace the faceless and bureaucratic globe logo. 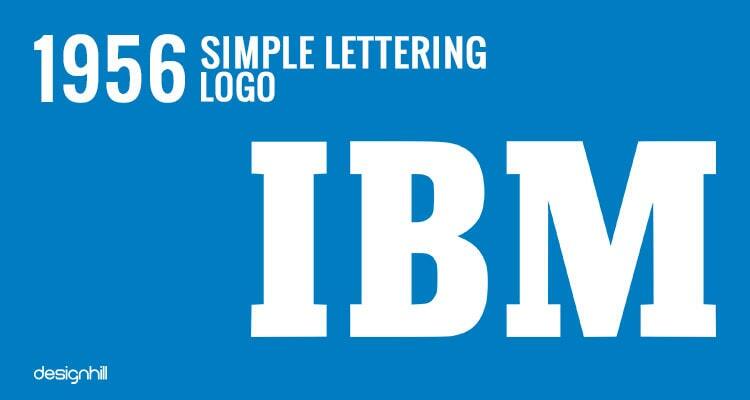 So, this prompted the company to opt for logotype IBM that we see today. The simple lettering of the logotype not only told the company name to the worldwide audience but also conveys warmth and user-friendliness of the company machines. Such a logo will instantly let the potential customers know the company name when printed on a business card design. The recipient of the card gets the company’s name from the logo itself. 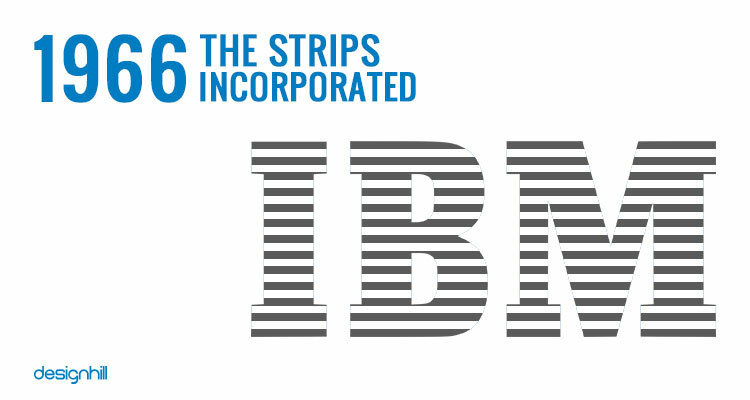 The famous IBM logo strips were introduced in the logo in 1966 to indicate speed and vibrancy of the company’s international business expansion. The first IBM logo had thirteen stripes in black. Incorporating the strips gave the logo a new look and create a unique image for the viewers. However, the rectangular logo first had a grayish background which changed to black in the next few years. 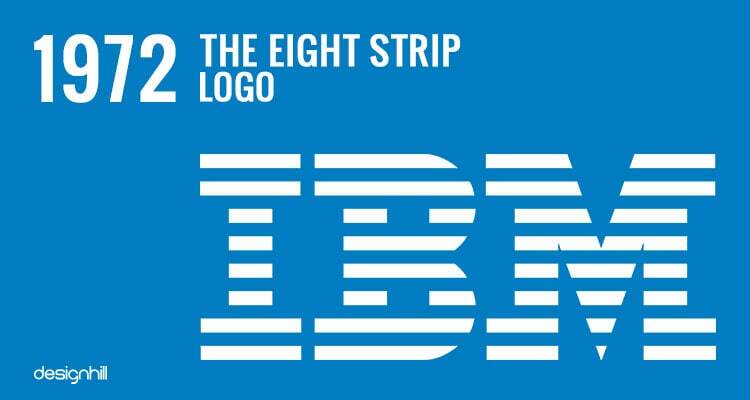 One of the significant changes that IBM logo saw in 1970s was that number of strips were reduced to eight from thirteen. The new logo was also known as the Eight Strip logo or the Eight stripper. The numbers of strips were reduced to suggest dynamism and speed. However, design of the logotype remained constant to give a logo and brand identity to the company. Another significant change in the logo design was to add blue to the strips of the logo. Blue color was chosen to express corporate sophistication that the company wanted to convey about its products to the modern worldwide audiences. The IBM logo has horizontal stripes running through all the three letters. Each letter has eight horizontal blue stripes against white background. The capitalized block lettering of the logo expresses authority of the company in the world business. 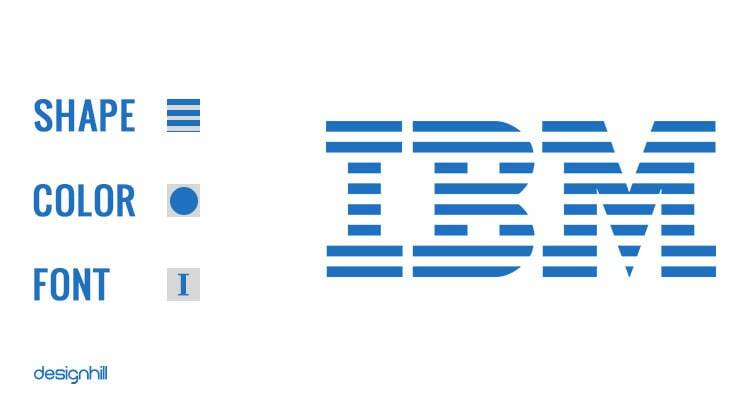 The existing IBM logo has blue as sole color. Choice of blue gives the company and the logo a professional look and strength.Because the graphic design has the blue strips, the logo has been nicknamed as Big Blue. Google’s New Logo Design Has Just Gone Viral! Why You Love to Hate It? Logo Design – Who Is The Owner, The Designer Or The Client? The IBM logo is logotype, designed in serif font to express the company high quality standards and sophistication of the products. The bold font has a simple design with no clutter involved. IBM logo has simple design but it conveys the company message of high quality, sophistication of products, and worldwide presence of business, dynamism and speed. Another feature of the IBM logo is that it is easily scalable. This implies that even if you put this logo on a big screen size such as a billboard, the logo will not lose its sense of proportion. Such well proportioned logos jell with billboard design perfectly. The logo will look equally impressive on small sizes as well. One of the reason for the IBM logo being a memorable design is that it is based on a unique concept. The concept used by the graphic designer is presenting the logo in equal stripes. There is perhaps no other logo that is entirely designed in stripes only. This makes the logo stand out in its niche markets. Such logos created on a unique concept look great on advertisements and help draw people’s attention to the content of the ads. So, your advertisement design becomes even more attractive due to your memorable logo. 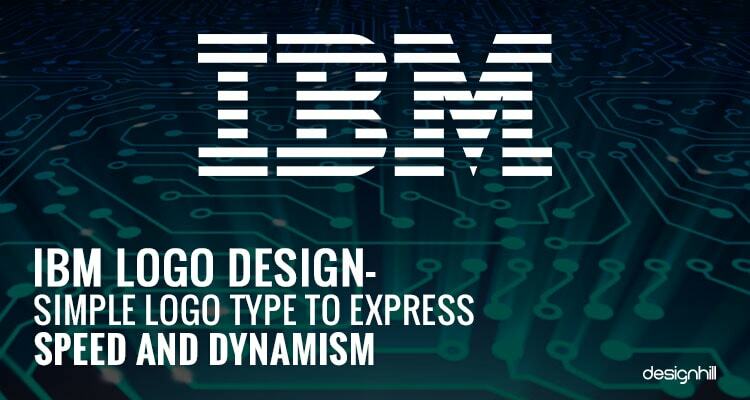 So, these are some chief features of iconic IBM logo. If you are also in need of a unique logo design that stands out and gives brand identity to your company, then crowdsource it to Designhill. This marketplace is a leading site that is home to thousands of graphic designers. You can easily access graphic designer services of these professionals at affordable prices. Just launch your logo design contest and get dozens of unique logo designs concepts. If you are not satisfied with the logos in response to your contest, you can request for refund. Designhill has the policy of 100% Money Back Guarantee that allows you a risk-free access to a winning design. The IBM logo is a stripe logo in blue color. The stripes is its unique concept that makes the symbol of the company stand out in its niche market. Such a logo gives a company its brand identity.